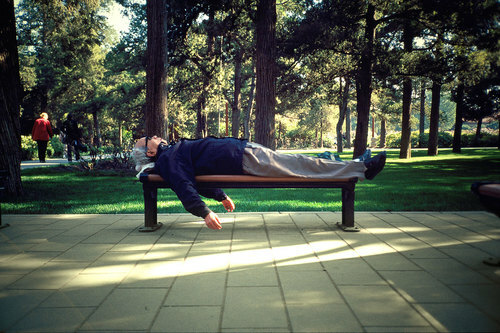 Have you ever seen someone sleeping in the most random place and wonder how he or she can fall asleep amongst the noise and light? 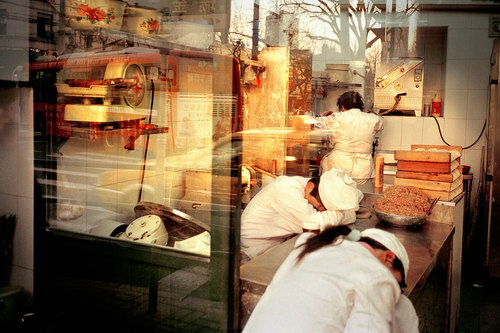 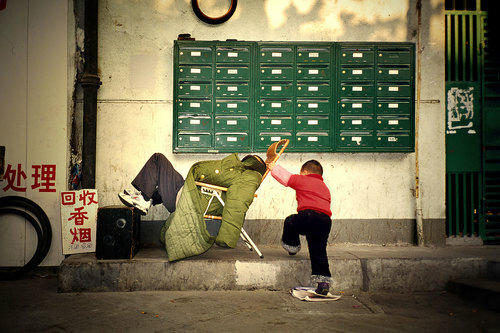 Photographer Eric Leleu has taken such an interesting concept and captured it on film for the rest of us to enjoy. 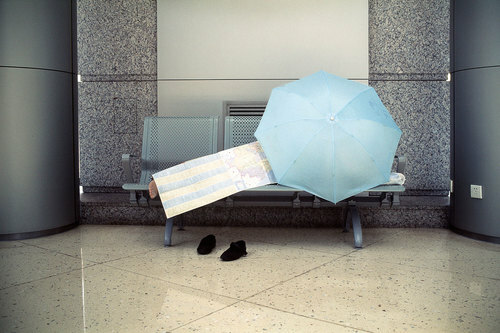 Each of his images captures people in the act of sleeping – whether it’s in a flimsy chair out on the sidewalk, in the middle of the workspace or in booth at a busy café. 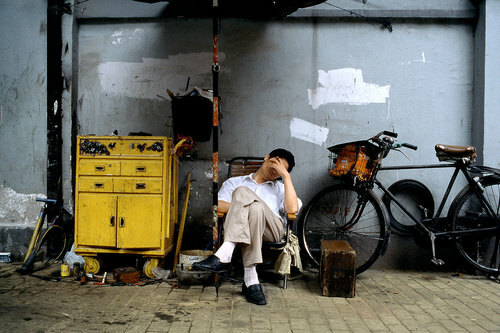 Eric Leleu explains the images represent the lifestyle and sociological mindset of contemporary Chinese residents – early to rise, late to bed and short naps in between. 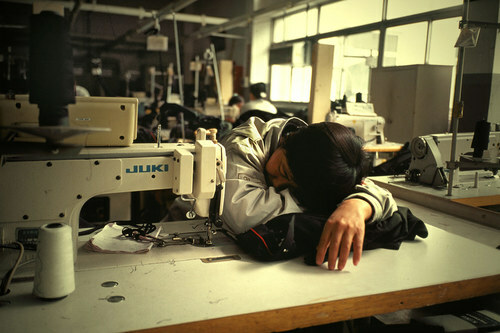 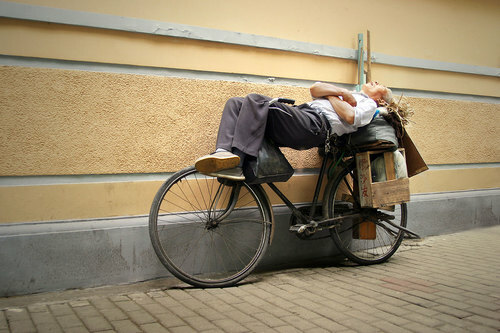 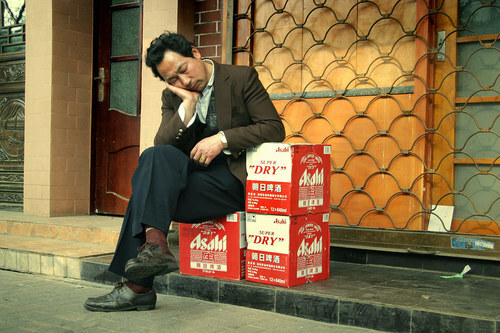 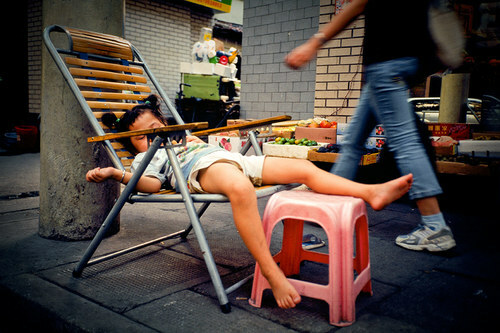 These fascinating pictures highlight that Chinese workers, students and children take naps out in the open without a care as to who sees them. 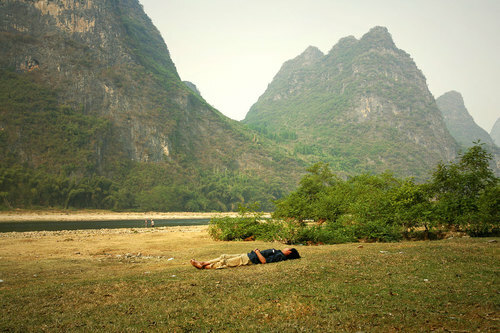 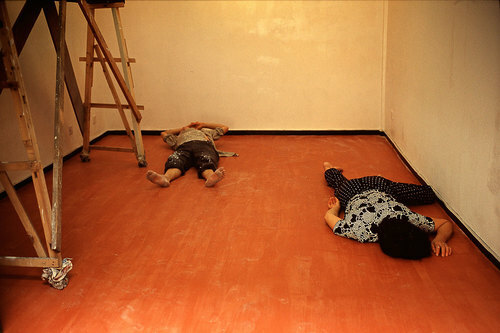 The images and act of taking public naps blurs the boundaries between personal and public life, thus creating a deeper sense of belonging within the community.